These high-resolution studio sample photos were taken with a pre-production unit of the new 18-megapixel Canon EOS 7D digital camera and the new EF-S 15-85mm f/3.5-5.6 IS lens at a focal length of 55mm. 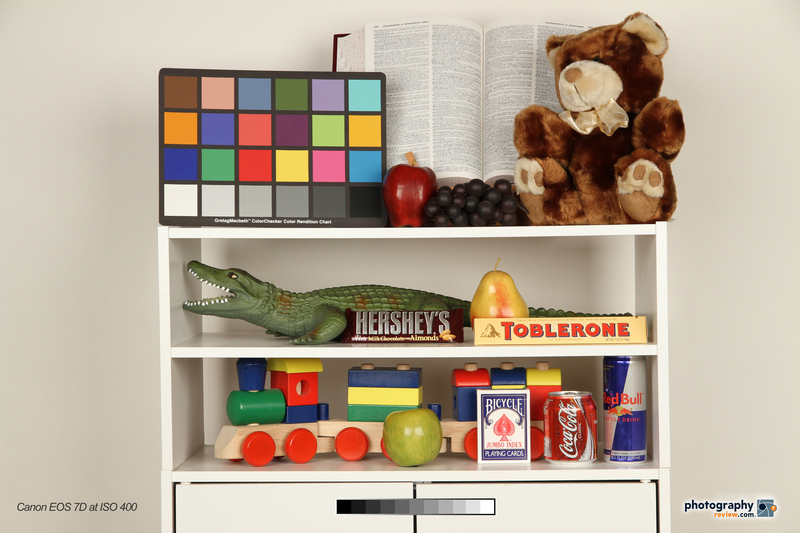 All sample photos were shot as RAW + JPEG in Aperture Priority mode at f/8.0 using the tungsten white balance preset. The high-res images are from the JPEG files because Canon didn’t send us the RAW software. When we get the RAW software we’ll replace these with images converted from the RAW files. No adjustments have been made to the JPEGs other than adding the logo and graybar. I shot a whole lot of photos in the field with the Canon EOS 7D over the weekend. You can see my EOS 7D gallery, here. Keep checking it as I will be adding more photos as I have time to set them up and upload them. Click on the thumbnails below to see the photos at their original resolution. This camera its going to be a big one. I agree. I’m not sure it’s going to be better than comparable Nikons (D300s and D90). But it will definitely make Canon owners happy – if it performs as promised. There are a lot of photographers who haven’t forgotten the EOS-1D Mark III AF fiasco. That said, I was pretty pleased with the performance over the few days I had the camera – and it was a pre-production body. what’s the idea to provide samples with nothing on image corners, just clear wall? He’s testing the noise levels produced at different ISO levels. You will see noise more on a clean white surface. Traditionally the three areas full frame cameras outshine crop cameras are a bigger brighter viewfinder, shallower depth of field for portrait photography, and better ISO performance, which on the last point the Canon 7D has proven not be an issue anymore. And for the second point really, most beautiful low depth of field portraits are done around f2.8-2.0 in full frame (going wider will make depth of field too narrow to place two eyes in focus). Hence, if one is using a wide prime, a crop sensor will produce the same depth of field at 2.0-1.4. Considering an affordable 50mm f1.4 lens on crop has the same field of view as 85mm lens on full frame there is really no reason to discount a crop camera any more as the 7D levels the playing field.